This course explores the lawful permanent resident (LPR) immigration process for foreign nationals who would like to live and work in the United States permanently: EB-1, EB-2, and EB-3 categories. It also explains the petition process your organization will follow and how to navigate the federal agencies you will interact with along the way. 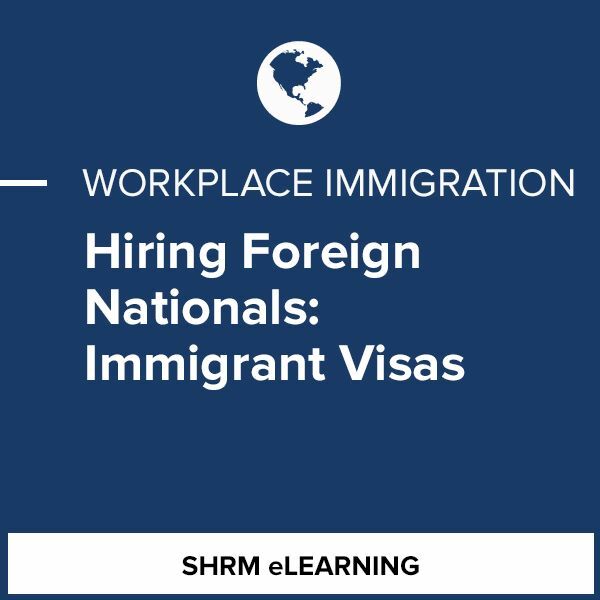 If you are in Human Resources, Talent Acquisition, or Global Mobility and need to/or would like to understand employment-based immigrant visas, then this course is for you. 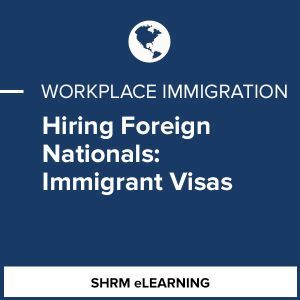 Know how to handle the key steps of the immigrant visa process: the PERM process and Labor Certification; Form I-140, Immigrant Petition for Alien Worker; and Adjustment of Status vs. Consular Processing. HRCI: Credit is pending for this course.